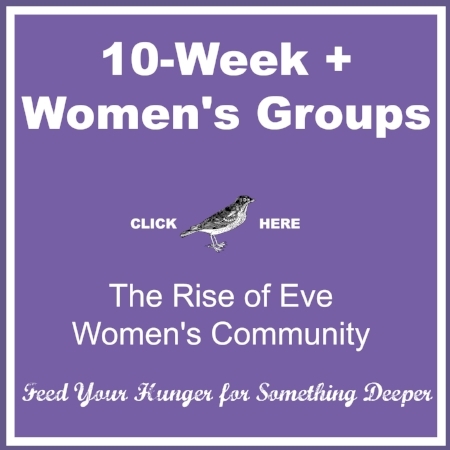 Over the course of more than 10 years of running women's circles, I've witnessed absolute magic in terms of women's personal transformations from the simple practice of just being together and sharing. This has led me to believe that women come into our power together. 1. Sometimes in order to be true to yourself, you need to skillfully break the rules. When this is the case, you'll fear this'll make you unpopular but among empowered women, it'll garner a high level of respect. 2. Using your voice (however unpopular your message) creates a gravitational pull in a room full of other women. A woman coming into her truth is mesmerizing---we can't not watch and feel drawn. Feminine power is contagious. 3. No two women share exactly the same story and yet, when you share yours from the heart, your story becomes mine and hers and hers. You are totally unique and totally universal at the same time. And that is magic. 4. Simply speaking your truth can be profoundly healing, both for you and for the women listening. For you because the power of witness is like salve for your broken places and for others because listening to your experience is how we know we're not alone. 5. Women are the great witnessers. With their hearts to hear you, your relationship to your experience changes. Suddenly, you realize how mean that inner voice can be, how right you are to stand up for yourself, or how much you've got going for yourself. Feminine power speaks up, shares, and asks you to do the same. 6. Woman-to-woman contact is a healing balm that can soothe like no other. When you share the shame you're certain is yours alone, and you feel their compassion fill the room, it's like coming home to yourself. Only you're not alone. You've got the strength of generations of women behind you. 7. You're like a mirror. When you speak up, the rest of us will learn something about ourselves simply by the way you talk about your experience even when you don't feel like you're doing anything special. This makes you teacher, healer, and artist without even trying---feminine power at its best. 8. You will champion your fellow sisters, cheer for them, challenge them, and offer them infinite compassion. You won't think this is a big deal. But in doing so, you'll notice that it's easier to do this for them than it is for yourself and that realization will lead you into a more loving relationship with yourself. You will learn about your own deservedness through that of your sisters. 9. True feminine power doesn't compete. There's more than enough for all of us because your breakthrough is my own; when you open, I open; and we all learn from and with each other. 10. Much of your feminine power lies in your willingness to feel impacted by life, events, the actions of others, etc. (Although the patriarchy would have you believe that this is what makes you weak, that couldn't be farther from the truth). 11. You know "women's intuition?" It's a very real thing, every woman has it, and you can cultivate it---especially around other women. Access to this well of power within can guide your life with the clarity and strength you see and appreciate in other women. 12. You aren't the only woman who wants to belong but fears she doesn't. In my experience, each woman shows up wondering if she's going to fit in, if she'll like the other women, and if they'll like her. Meanwhile, she hungers for a sense of belonging. You can create a sense of belonging (and therefore power) for yourself by telling your story and listening to the stories of other women in places where its safe to do so. 13. Many, many women these days carry wounds born from other women, whether that be mothers, sisters, aunts, or women we've called "friends." Yes, women do wound each other. But even the most gripping of those wounds can heal with the right care, container, and safety. As that recovery happens, you begin to have access to all the beauty I mention above, even if it might surprise you. And of course the bonus truth is that you're powerful beyond measure. If you don't feel your power, it's just because something is in the way. Make it a priority to quest for your healing. You know your sisters would appreciate a reminder about how sacred your connection is. Press share and love them up.